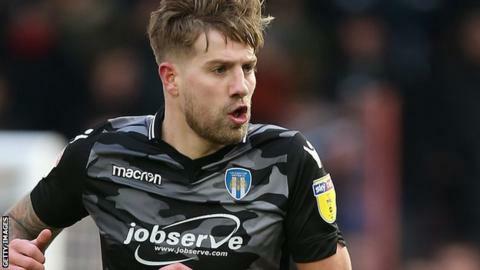 Colchester United midfielder Harry Pell is set to miss the rest of the season with a hamstring injury. The 27-year-old has scored seven goals in 34 appearances for the League Two side since joining from Cheltenham in May for an undisclosed six-figure fee. Pell was expected to return but has suffered a recurrence of the injury. "That's a huge blow, especially at this time of year," U's boss John McGreal told BBC Essex. "We pick these types of players for this time of the season." Colchester are four points outside the play-off places with seven games remaining.